Chapter 10: We’re Going to Disney World! So you’ve decided to start the Feingold Diet. You’ve got the food list in hand. Now what? 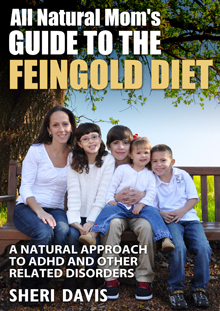 I wrote my first book, “All Natural Mom’s Guide to the Feingold Diet – A Natural Approach to ADHD” to explain what the Feingold Diet is all about. This book is for those who have decided to take the plunge and start the Feingold Diet, or for those who have just adopted a more natural lifestyle or have children with food allergies. How do you deal with things like class parties, doctor visits, school lunches, vacations, and unsupportive relatives? I’ll share our own personal experience with all of these things and share some tips that have helped our family. I’ve also thrown in a bonus chapter on supplements for ADHD, and provided some recipes to help as you transition into a more natural lifestyle. 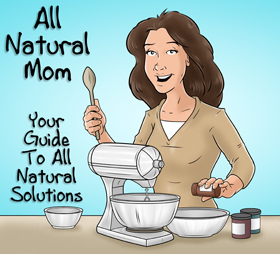 And if you haven’t read my first book or read my blog, www.allnaturalmomof4.com, let me give you a quick run-down. We started the Feingold Diet in 2005 for my then 4-year-old son who showed all the signs of ADHD. Medicating was not an option in my mind so I started googling “dyes and hyperactivity.” I came across the Feingold Diet and decided to remove dyes on my own. While removing dyes helped some, it wasn’t enough. A year later, after a troubling experience in preschool, I revisited the Feingold web site (www.feingold.org) and decided to go for it. What did I have to lose? My son needed help and at this point, I was willing to do anything. We started the diet in February and within two days my son was a completely different child. Others noticed too. By the fall of that year, his Kindergarten teacher said she saw “no signs of ADHD” and was bewildered when I told her his preschool teachers said they saw “red flags for ADHD.” We were beyond thrilled at the changes we saw and eventually our whole family adopted this new lifestyle. Today my son is 14 years old taking honors classes at a Christian school and just got straight A’s for the first time. I have three younger children as well who are 11, 8, and 4. We’ve had to move beyond Feingold for my other children due to food allergies, seizures, autism, and just in the interest of better health, but Feingold will always be the foundation of any other protocol we do. 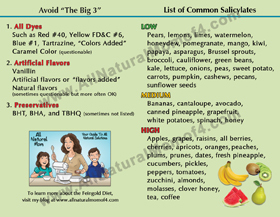 We currently do a GFCF (gluten and dairy/casein free) diet along with Feingold. 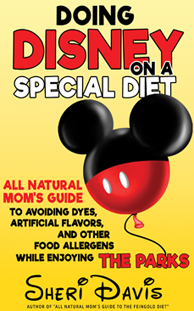 I hope this book helps those who need to make a change in diet due to behavioral issues, food allergies, or who just want to make better food choices for their family. I’ll share some tips on how to practically implement the Feingold Diet and what that looks like in the day to day. To be notified of its release, make sure to follow my blog, sales page at www.momof4.com, or All Natural Mom Facebook page.